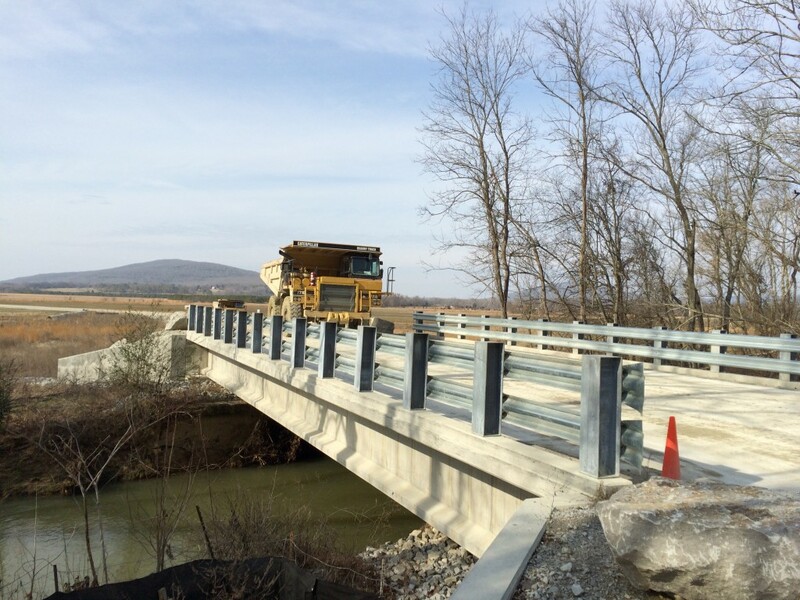 Design & Build – Heavy Highway contractor Huntsville AL | Miller and Miller, Inc.
Miller & Miller Inc. recently completed a design/build project to construct a bridge over Hurricane Creek for the nation’s largest producer of construction aggregate. The bridge structure was 83 Feet in length and consisted of a combination of driven H-Piles and a spread footing. The structure was designed based on a Caterpillar 775G Off-Highway Truck with a 246,500 Lb. Maximum Gross Vehicle Weight. © 2015 Miller & Miller Inc. All Rights Reserved.